Beak abnormalities have been reported in over 60 species of birds worldwide, from sparrows to pigeons, warblers to gulls. Although some deformities are temporary and perhaps controllable by deliberate abrasion, others are permanent, diverse and often spectacular in their form. • Crossed mandibles: similar to that of a Common Crossbill perhaps caused by slight asymmetry of the jaw. Straight beaks have been recorded as a deformity in Crossbills. • Decurved upper mandible: can occur when the tip of the lower mandible is damaged so that the beak does not close correctly. • Upcurved lower mandible: may occur when the tip of the upper mandible is missing (i.e. broken off). • Elongation of both mandibles: produces ‘Curlew-type’ beaks, although the degree of curvature varies considerably between individuals. • Bent to the side: seemingly uncommon, with one or other mandible warping sideways. • Gapped: where the upper and lower mandibles do not close fully leaving a visible gap. 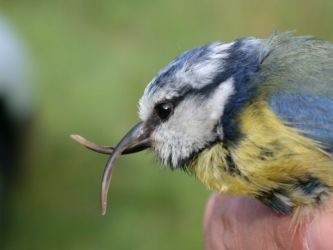 In most cases the bony parts of the beak are unaffected, with abnormalities occurring in the dermotheca (the thin middle layer containing blood vessels and nerves) and rhamphotheca (the outer keratinous sheath). Researchers into beak abnormalities in Alaska have coined the term ‘avian keratin disorder' and have noted additional abnormalities of feathers, skin, legs, feet and claws in some wonky-beaked individuals.